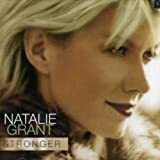 NATALIE GRANT SUCH A WONDER LYRICS"
Made of dirt and hay. Gave all there was to give. Made the dead to live! You chose to love someone like me! And I will never understand. Filled my world with light! Gave my eyes new site. They always keep me on my knees. All Natalie Grant - Such A Wonder lyrics are property and © copyright of their respective owners. All Such A Wonder lyrics provided for educational purposes only.